90 registrations about two weeks ahead of the event is an encouraging number, particularly since many of the regular attendees have to sign up yet. It indicates that the decision to split the afternoon into two parallel sessions was right. One group will focus on the aspects of paper for recycling, and the other one on recyclability and the deinking process. And with an increasing number of attendees also the chances for good discussions on the fringe of the official programme and during the get-together improve. Do you still have to register? INGEDE Members and Partners will receive a reminder in due time. We look forward to seeing you in Munich! More information on the symposium and the preliminary programme is available soon here on INGEDE’s website. 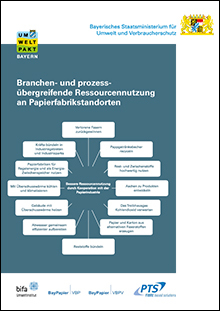 The Ministry for Environment and Consumer Protection in Bavaria published a brief study on efficient and climate friendly use of resources in regions and locations with paper mills. Among other topics, it deals with recovery of fibres which today vanish in the waste stream, recycling of paper cups and usage of paper mills as storage for energy. The study can be downloaded from the Ministry’s website but is available in German language only. INGEDE Partner Entsorgungstechnik Bavaria is as old as INGEDE: With 30 years of experience in plant engineering, the owner-managed company is one of the specialists in one of the most important sectors of our time. Turnkey sorting systems are designed and built at the highest technical level, including a variety of individual products such as dosing bunkers and conveyor technology, screen machines, optical sorting machines and sorting robots, wind sifters and pneumatic conveyors. 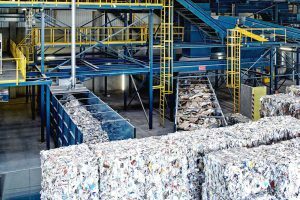 The business areas not only include paper for recycling, but also plastics, lightweight packaging, rubble and commercial waste, single stream collection and wood. In the meantime, more than 100 projects have been successfully implemented throughout Europe. A secret of the success of the company, which is based in the north of Munich, is the complete handling from a single source: From planning, developing suitable concepts, to assembling and turnkey commissioning, more than 200 employees also take care of accompanying tests and certifications as well as training the staff, of maintenance and service. and the realisation of the first fully automated sorting system without manual sorting staff. 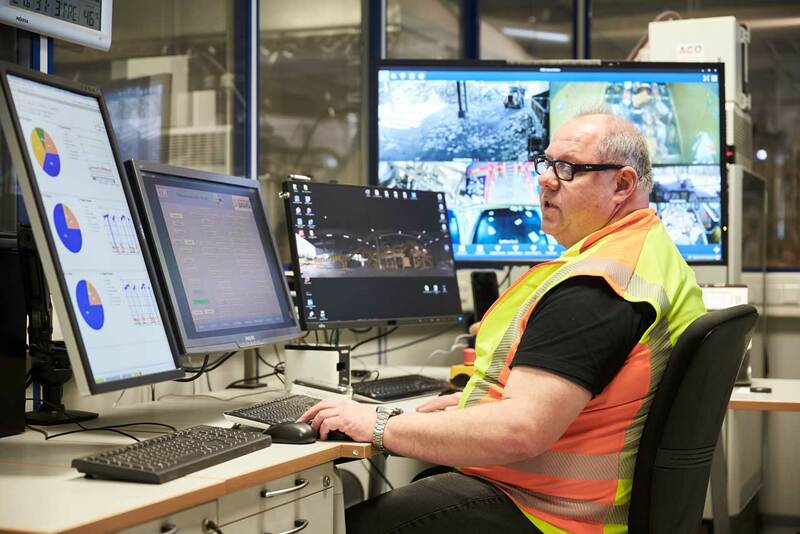 At Koppitz in Knetzgau (see also INGEDE News of October 2018), the largest paper sorting plant was created with a throughput of 50 tons per hour, and at Stora Enso in Langerbrugge the disc screens, dosing and intermediate bunkers also come from Entsorgungstechnik Bavaria. The reconstruction of the entire sorting plant at ASD Dachau after a fire in 2013 was managed efficiently. And for the Palm Paper Mill in King’s Lynn, UK, a completely new sorting plant has been developed and will be installed this summer. For example, with the help of MAX POS Process Optimisation and positive post-sorting, the yield of deinking grades can be significantly improved: Neither NIR detection nor hand sorting can separate the different grades optimally, so each sorting plant every day has several tons of loss of valuable deinking grades. 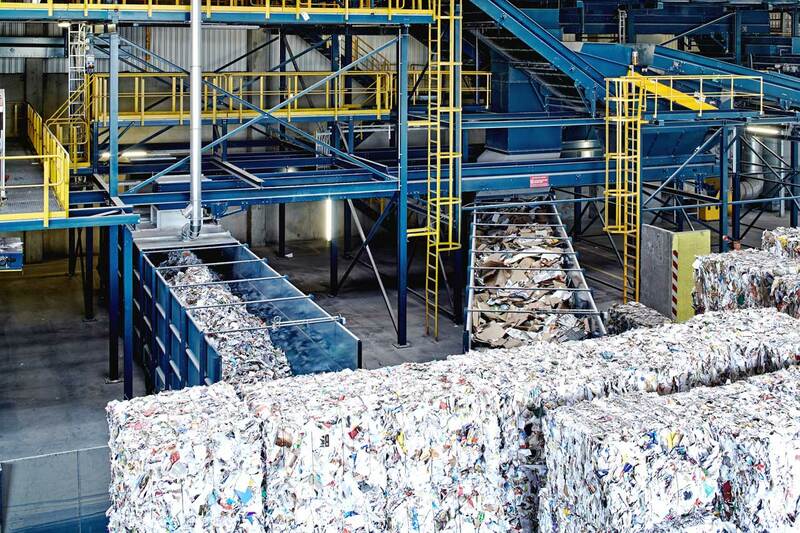 By post-sorting, the raw material can be recovered, thus reducing the loss to half.